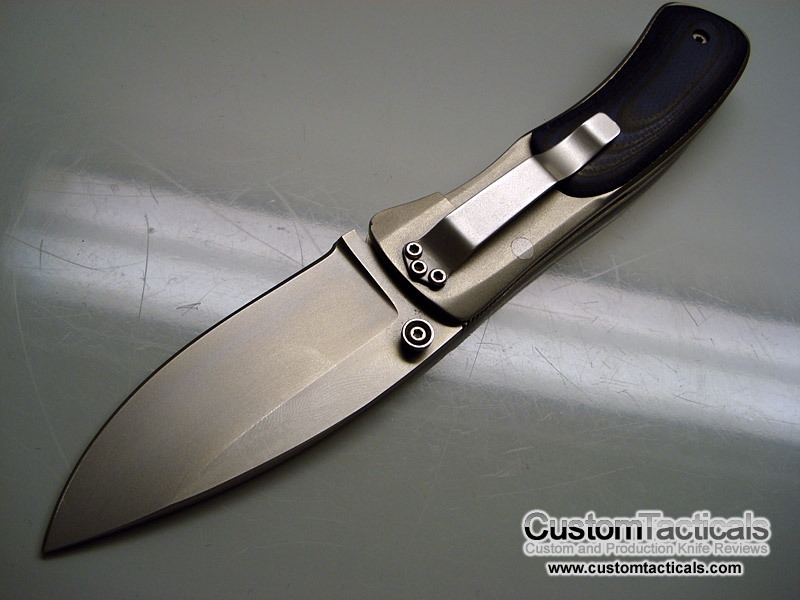 Mike Obenauf is Kit Carson’s son-in-law and makes knives in the same style. He is a very promising, relatively young maker who’s work is always hot on the market. 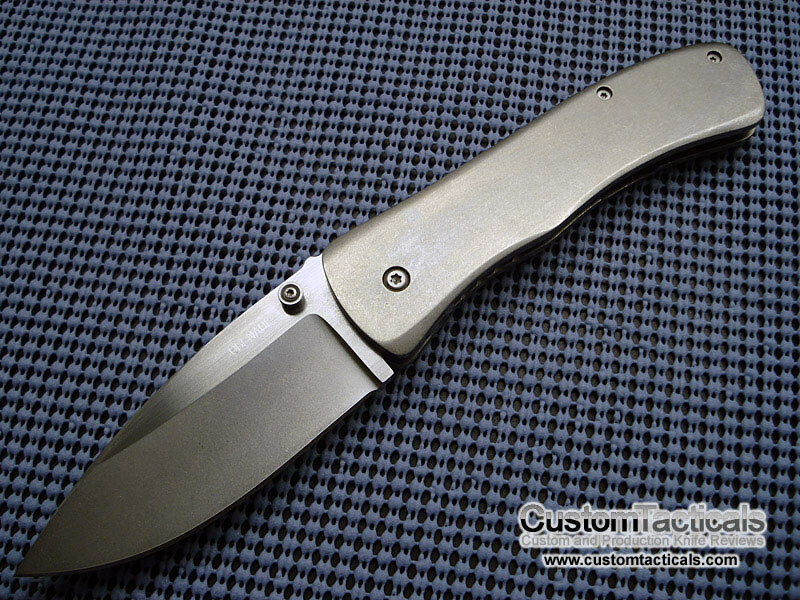 Yet another Mike Obenauf folder review here, with some new perspective possibly since its been a while since I have reviewed one. 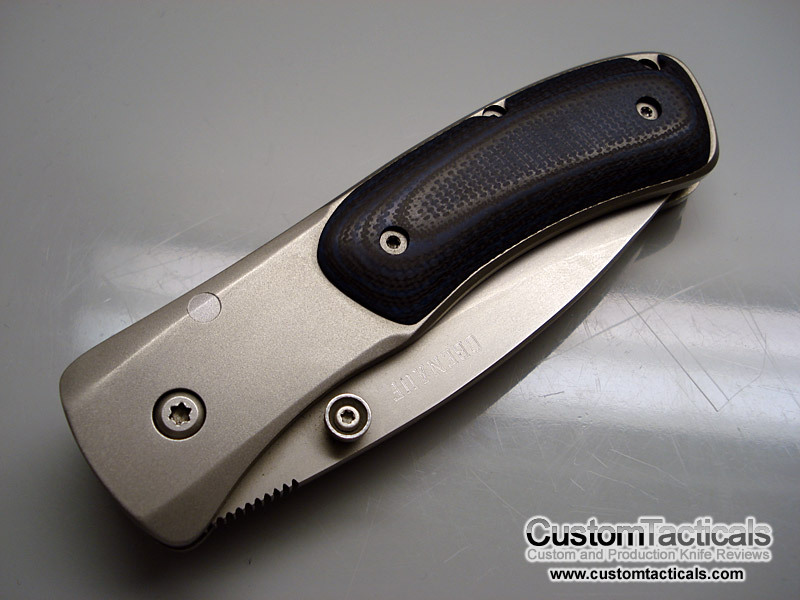 This model 2 larger framelock folder is basically the large version of the Small Model 2 Framelock that I reviewed in 2007. 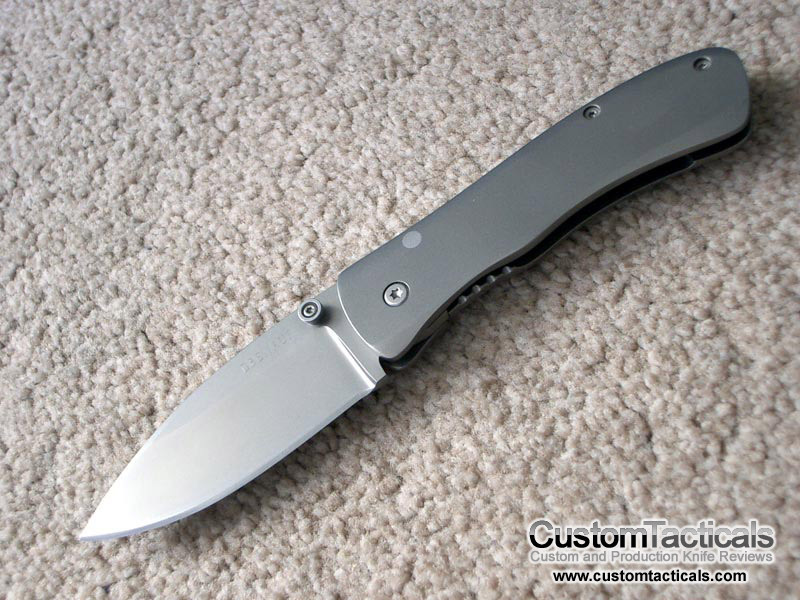 I’ve owned a fair amount of Obenauf knives over the years, but this is the first Model 1 here. Like most of his knives, it bares a resemblance to Kit Carson’s knives. Carson is his former father-in-law. 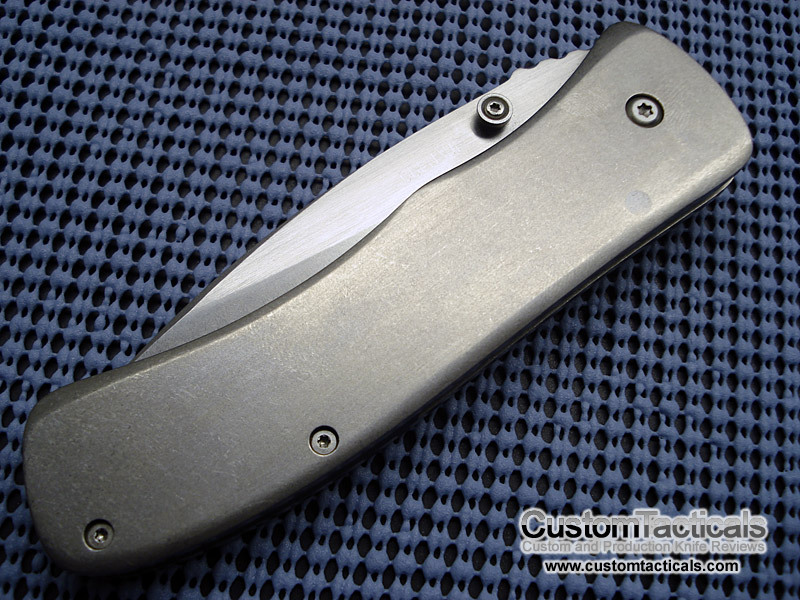 Obenauf has now been shunned by the knife world and while his knives are still known for their quality, they have lost the lustre they once had. 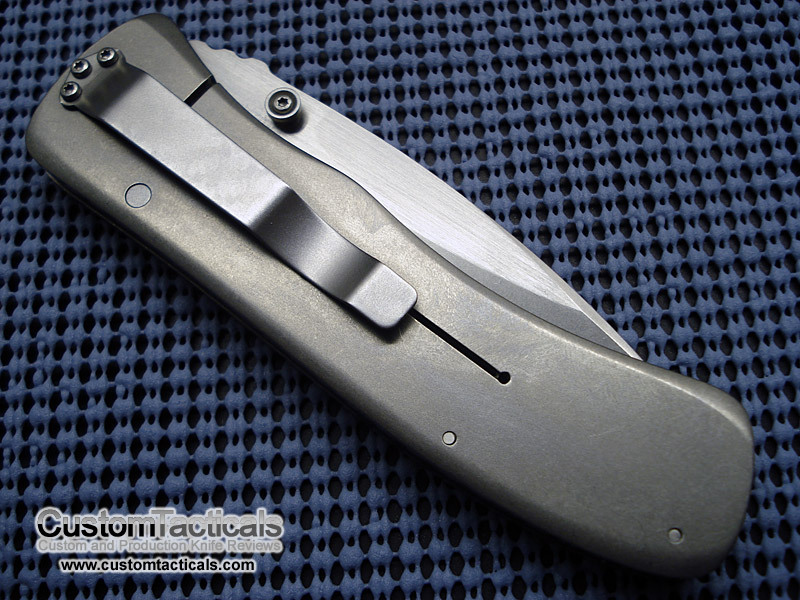 This is a customized Model 2 Framelock from the now defunct Mike Obenauf. 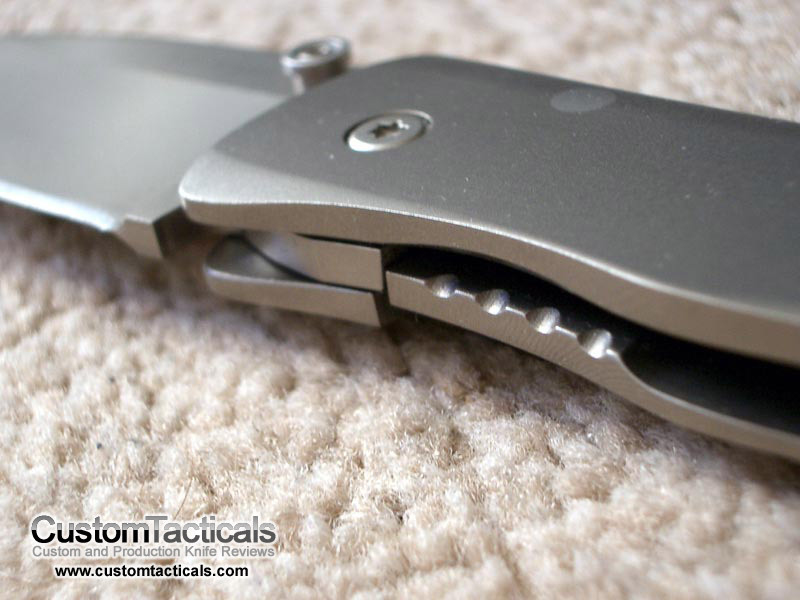 Though this knife is extremely similar to the other Model 2 framelock I reviewed last year, I felt that I should review it partly because Mike has also retired from knifemaking, and this peice is rather unique. 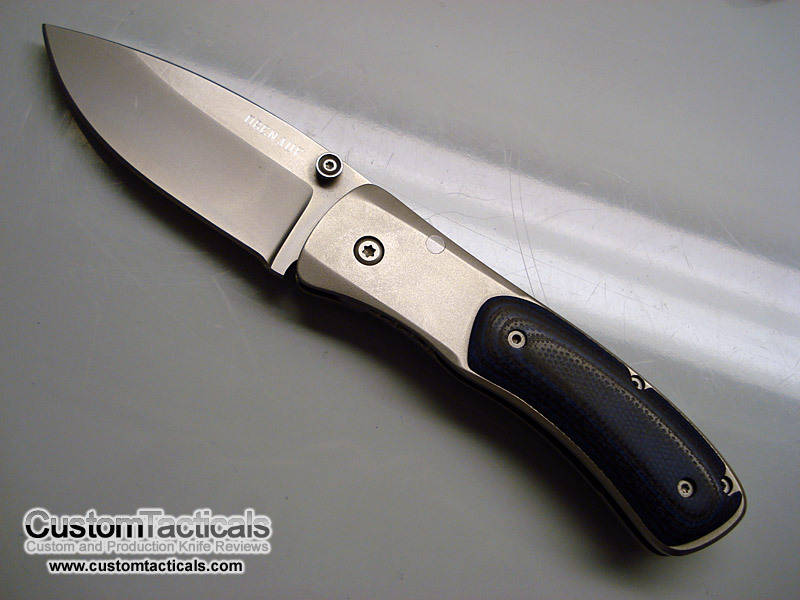 I really like Mike Obenauf’s knife designs, and the Model 2 is probably my favourite, with the Model 4 Wharncliffe Knife coming in close second. 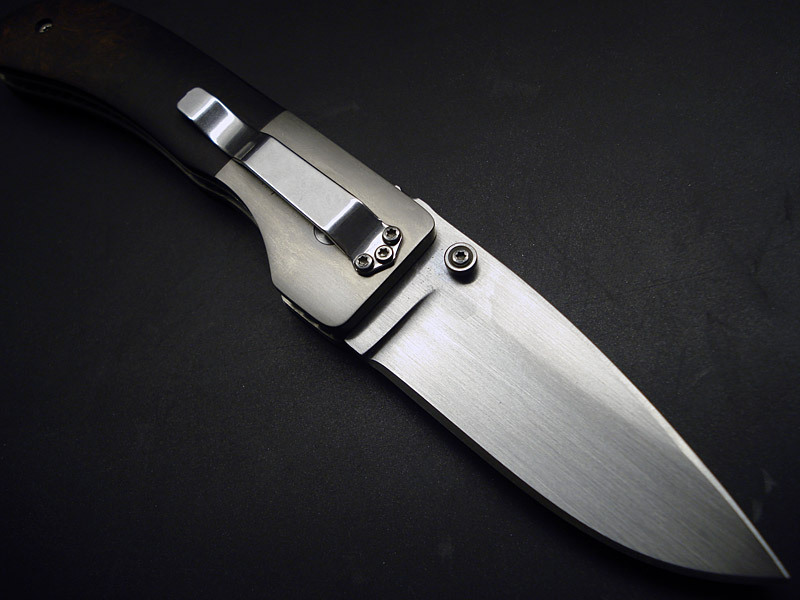 The knife just has such wonderful flowing lines. 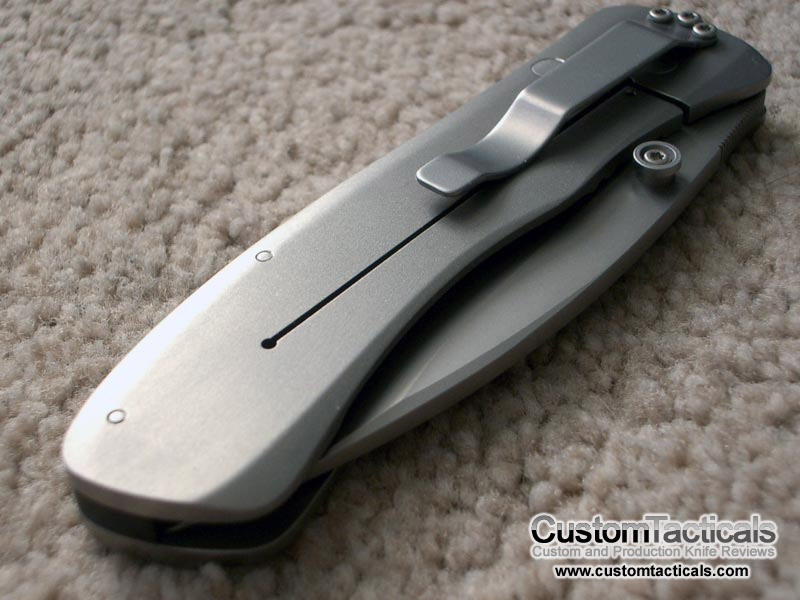 This is the linerlock version of the knife, and is a better value I think in the long run over the framelock. A little bit more class, without too much sacrifice in performance. 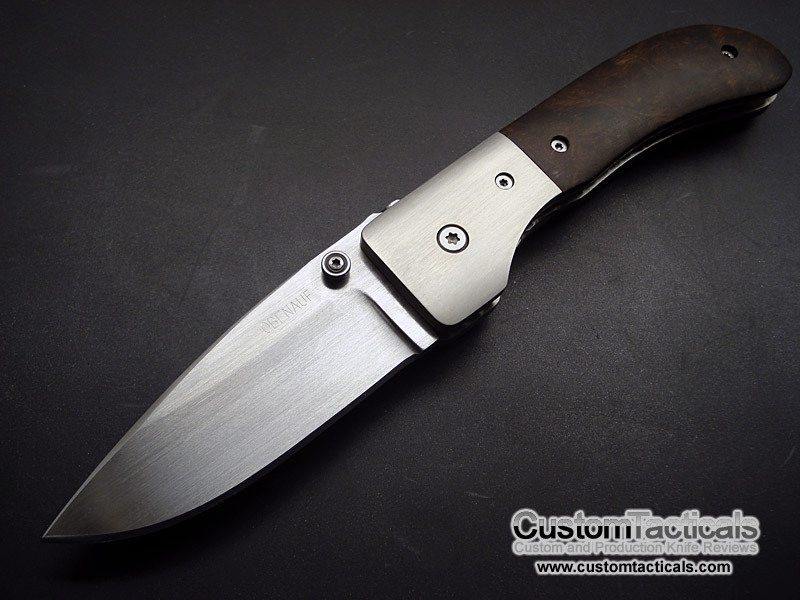 Mike Obenauf is one hell of a maker. 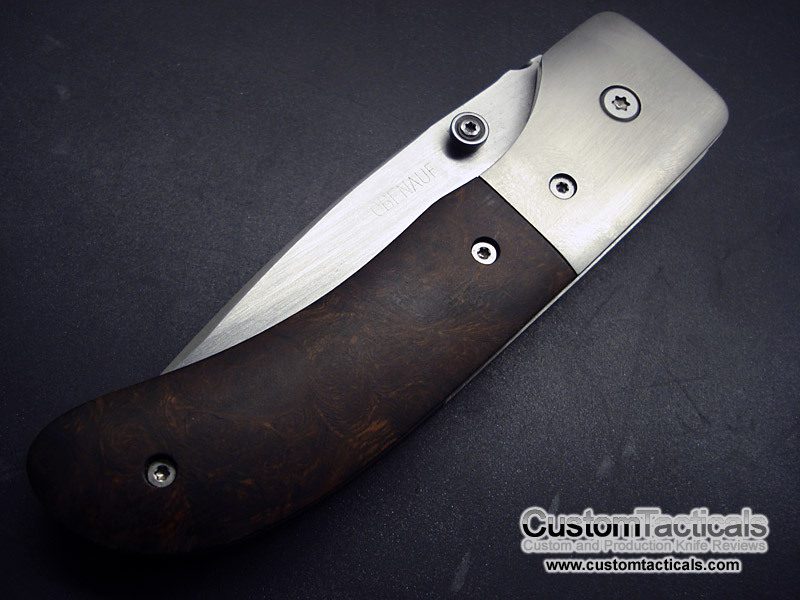 His knife designs are heavily influenced by his father-in-law, the famous Kit Carson, and that much is obvious from the design of his Model 2. And that’s not the only thing they have in common… the quality of his knives is also in the same league, which is saying quite a bit!